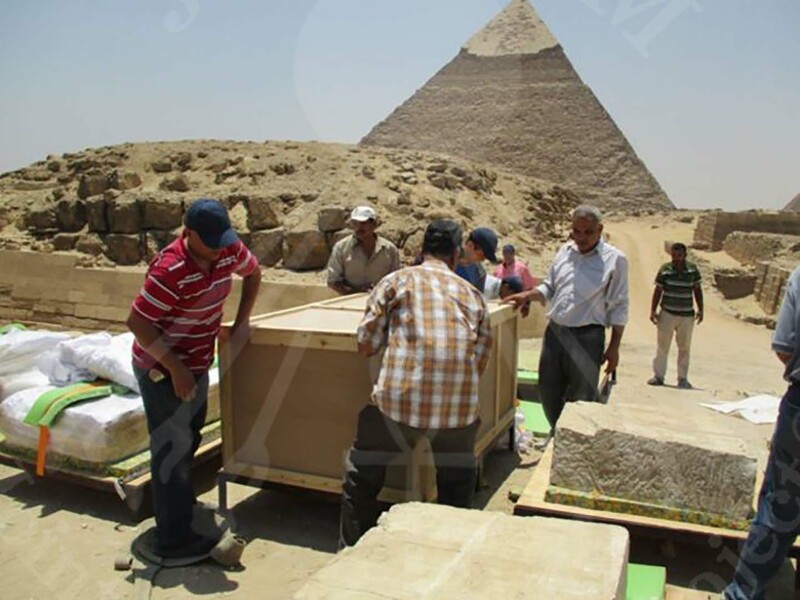 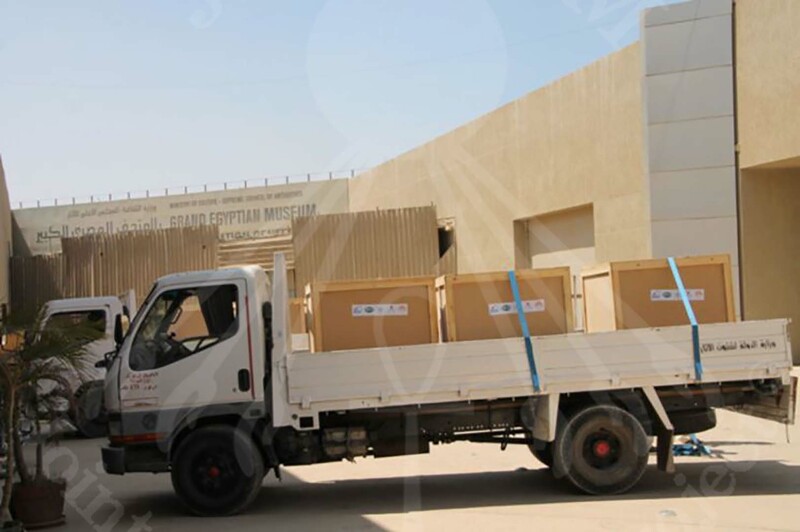 The transportation of Snefru’s relief was completed and arrived at GEM-CC. 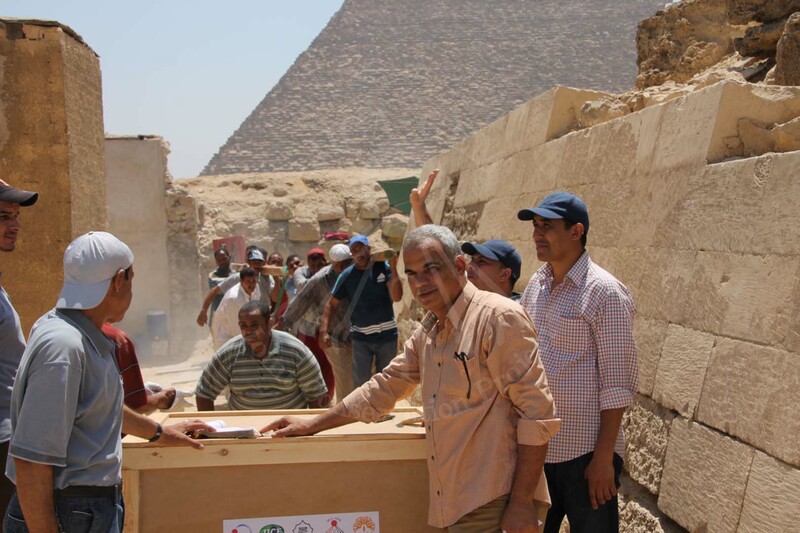 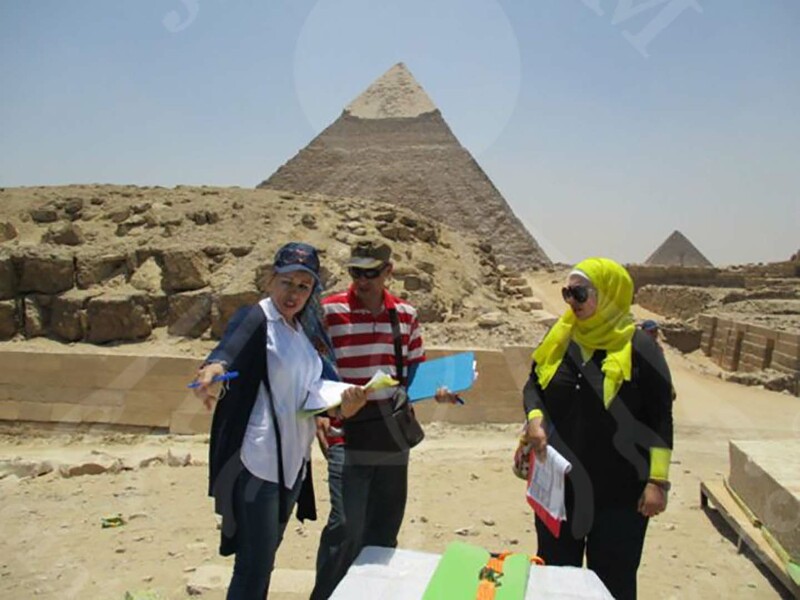 The planning phase took place in February in a collaboration work of Japanese experts from Nippon Express Ltd., and the actual transportation work was carried out by the Egyptian transportation team. 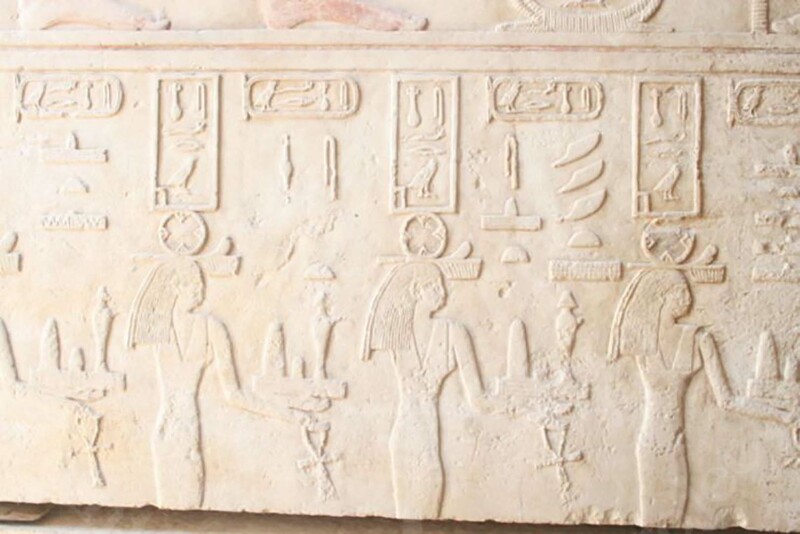 The relief was discovered by the Egyptian archaeologist Ahmed Fekry in 1952 at the Valley Temple of the Bent Pyramid of King Snefru, and was later stored in the storage of the Giza Inspectorate on the Giza plateau for many years. 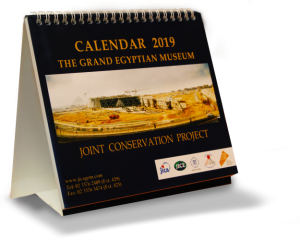 It is strongly desired that it would be exhibited in the Great Egyptian Museum in an appropriate form as it is the oldest existing relief in the Valley Temple and it is one of the most important archaeological material.